Verizon's new report says ransomware grew in popularity and size. Ransomware grew 50 per cent in just a year, according to a new report by Verizon. The Verizon Data Breach Investigations Report (DBIR) is based on the analysis of 79,000 security incidents, and 1,945 confirmed data breaches, across 79 countries. 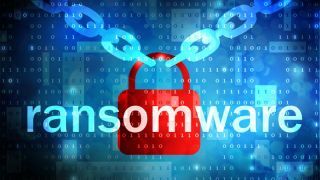 According to the report, ransomware also grew in popularity, and by a large margin. In 2014, it was the 22nd most common malware variety. Fast-forward two years, and now it’s fifth most common. The healthcare sector is under greater threat than all others, it was also added, saying that 72 per cent of all malware incidents targeted this sector. More consumers than ever are at risk, the report continues, adding that phishing and poor cyber-security hygiene are the biggest culprits. Organised criminal groups were behind more than half (51 per cent) of breaches, while state-affiliated groups were involved in 18 per cent. Financial services were the most prevalent victims (24 per cent). “Insights provided in the DBIR are levelling the cybersecurity playing field,” said George Fischer, president of Verizon Enterprise Solutions. “Our data is giving governments and organizations the information they need to anticipate cyberattacks and more effectively mitigate cyber-risk. By analyzing data from our own security team and that of other leading security practitioners from around the world, we’re able to offer valuable intelligence that can be used to transform an organization’s risk profile”. Verizon’s full report is available on this link.